R. Mika really knows how to get people pumped, let me tell you. 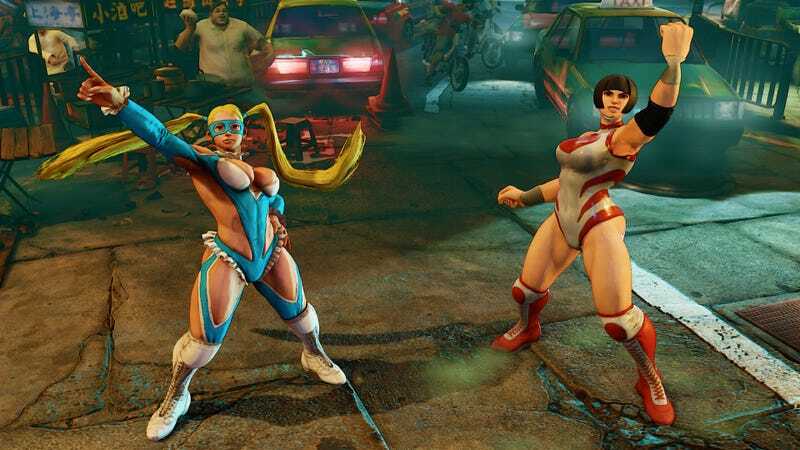 Earlier this year, we wrote about R. Mika’s special V-Skill ability, which allows her to become so powerful, she can almost one-hit-kill her enemies—provided, of course, that she can finish the entirety of her speech beforehand. It looked really rad! That’s not all, though. She actually has a wide variety of awesome things to say, as Burnout Fighter shows us below. Hey! Seven colors fly to the ends of the earth! With fiery heat from burning muscles! Right under the first star of the evening! Be it grapples, body slams, or blows! All will be in awe of my...RAINBOW! There’s a passion that burns in my heart! The passion to realize my dream! And reverberate into my muscle’s soul! With my strength, determination, and spirit, I’ll become as bright as the...RAINBOW! I’m drenched with the sweat of determination! My fists tighten as I grasp for victory! Tomorrow, the next day, and everyday! I’ll train every morning, noon, and night! And all will know me as...RAINBOW! Pro wrestling is the strongest discipline! Nothing compares to how perfect it is! No matter how hard the opponent tries, they can’t move my marvelous might! Cuz pro wrestling is...the very best! I think of where I’ll be in the future, where the things I want, wait for me. I know some day, I’ll make it there! Until the day I catch up to it, I’ll try my hardest and chase tomorrow! Step by step isn’t the fastest way. But one day, I’ll be directly at his back. For now, I’ll keep running toward him. I’ll run with the rainbow as my wake! And build a bridge with my...RAINBOW! You gotta love how much she adores rainbows. Ahhhh...this gives me life.